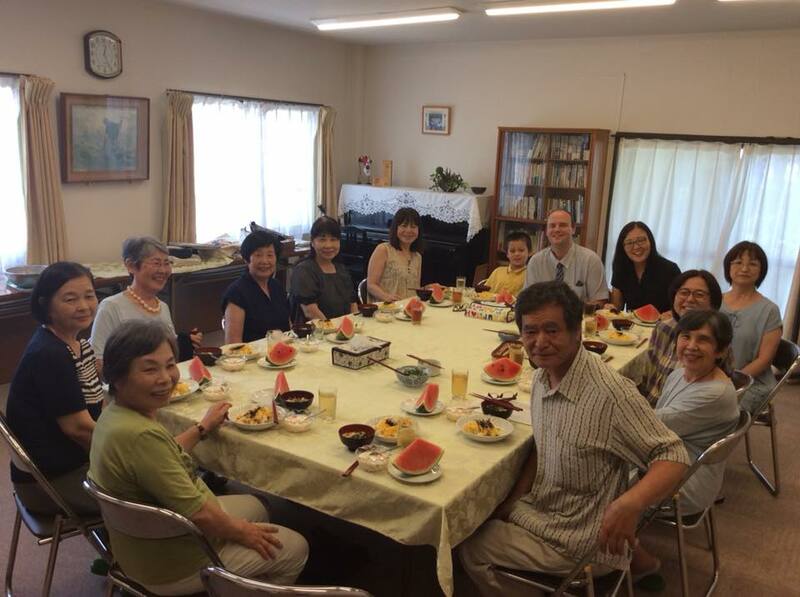 We spent from June 20 to August 8 traveling around Japan reconnecting with our friends, family, and senders there after being away for four years. We spoke at around 20 church services and meetings and were able to reconnect with many but not all of our friends there as well. We shared updates about what God is doing in Cambodia as well as encouraging and equipping the Japanese and international Christians there with apologetics based messages on topics such as the “Evidence for the Resurrection,” “Evidence for the Exodus,” and “Evidence from Prophecy.” Japan’s national and church demographics are both getting older so it was also important to help them to be aware of some of the different perspectives and needs between first generation Christians and Christians who come from Christian families. We also talked about the importance of equipping young people with apologetics evidence so that their faith will not be shaken by challenges that they encounter in school, media, and social groups. In Daniel 1:8, we see that Daniel and his friends must have had their faith based on a firm foundation so that they could continue to stand for their faith even though they were in a foreign land. Sadly, we see in modern times many young people who grow up in church leave their faith when they go away for college or careers. 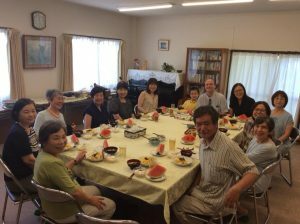 This pattern is not something that happens only in the USA but we met Japanese Christian young people who also struggled in the same way. As Cambodia develops both as a nation and in the church, this pattern is beginning to happen here as well. This is why Darryl has been developing (in many cases the only) apologetics materials in the Cambodian language to equip church leaders and parents so that when their young people have doubts about their faith that they will be able to point them to reasonable answers. Unlike older generations that would primarily seek answers to their faith-challenges from their families or the church, many young Cambodians are seeking answers on the Internet and other media. We are encouraged to continue developing apologetics materials for distribution via the Internet and social media. Darryl’s Cambodian ministry partner recently reported that one of the videos that they produced together in the Cambodian language had received more than 18,000 views. Darryl also shared 26 scripts with another Cambodian ministry to produce into short video dramas for Internet distribution. This ministry, made up of Cambodian young people, has produced high-quality videos in the Cambodian language that have received more than 22,000 views. The International Fishers website is regularly visited by around a thousand people each month and many of Light Times Magazine’s 3,000 copies are read by twenty people each, especially in the rural areas and in businesses. As we return to our regular work/life pattern in Cambodia, Kayo will continue to serve with Precious Women Ministry to help them evangelize and transform the lives of young Cambodian women who are working in high-risk jobs in bars and night-clubs and give them a new life in Christ and the opportunities they need to pursue more sustainable careers and take care of their families. Benjamin will continue into the 4th grade at Hope International School. As we continue to reach out to Cambodia’s next generation, we are reminded that many of our Senders in the US and Japan are from an older generation. Some of our largest financial sponsors are getting to an age where they won’t be able to continue their financial support for mission work for much longer. Please pray that God will raise up a new generation of senders who will be willing and able to regularly invest in mission work to help Cambodia’s Body of Christ to not just grow and make an impact for one generation but for the future as well. Thanks for your faithful prayers, encouragement, and support. We are always encouraged to hear from people at home so don’t be shy about e-mailing us.